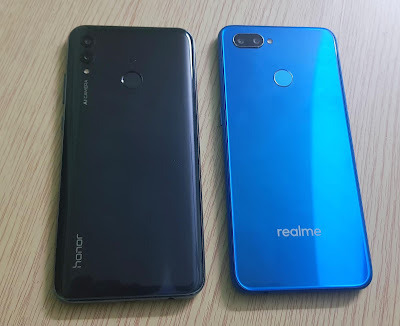 In terms of Design, Both phones have a plastic build Realme 2 Pro build looks better than Honor 10 Lite both phones get scratches easily better to use Case provided in the box. 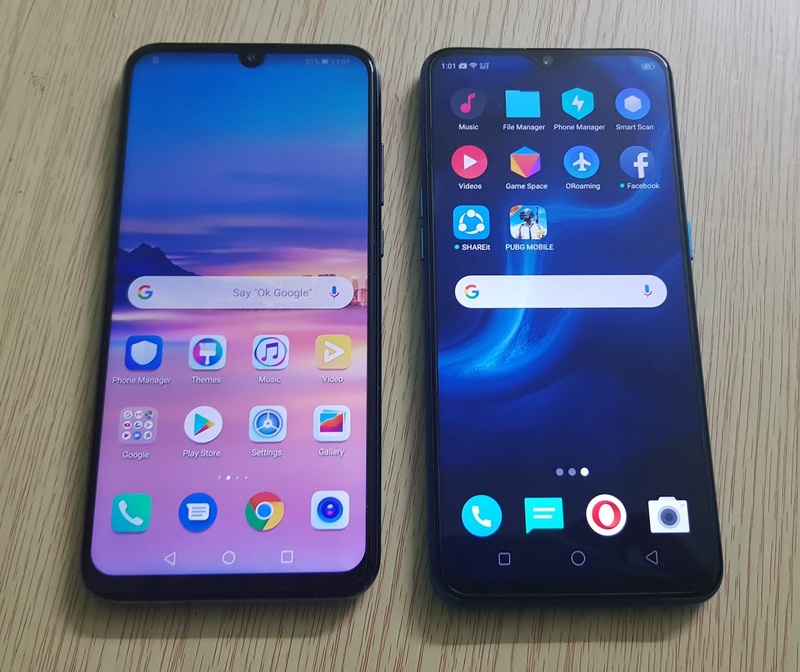 Honor 10 Lite has 6.21-inch Display compared to 6.3-inch on Realme 2 Pro both phones have FHD+ resolution, Realme 2 Pro display is protected by gorilla glass 3 which lacks in Honor 10 Lite. Realme 2 Pro has brighter display Honor 10 Lite has 91% of Screen to body ratio with fewer bezels on bottom chin compared to 90.8% screen ratio on Realme 2 Pro. Honor 10 Lite is powered by Octa-Core Kirin 710 12nm processor with ARM Mali-G51 MP4 GPU. It also comes with GPU Turbo whereas Realme 2 Pro is powered by Octa Core Snapdragon 660 14nm Processor with Adreno 512 GPU both phones are fast there was no issue in terms of playing games both play games well GPU on realme 2 Pro is better compared to Honor 10 Lite. Both Phones get heat up while playing games for longer times. 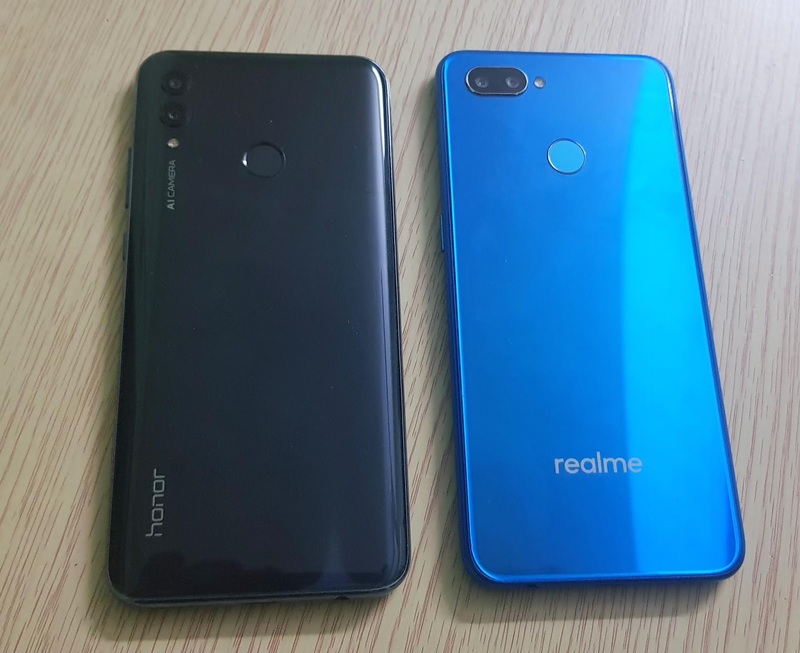 Realme 2 Pro has a 4/6/8GB RAM and 4GB/128GB internal Storage whereas Honor 10 Lite comes with 4/6GB RAM and 64GB internal storage. Both phones come with Dedicated MicroSD card slot and have support for Dual 4G VoLTE. On Camera Honor 10 Lite which has a 13MP rear camera with LED flash, f/1.8 aperture, 2MP secondary camera and 24MP front-facing camera with f/2.0 aperture whereas Realme 2 Pro has a 16MP rear camera with LED flash, f/1.7 aperture, secondary 2MP camera, and 16MP front-facing camera Realme 2 Pro Rear Camera has support for 4K Video recording with EIS whereas 1080P on Honor 10 Lite which lacks EIS both phones has support for front camera portrait. Both phones capture good images in daylight and indoor conditions, the Low light camera is better on Realme 2 Pro front camera on both phones camera are good. Video recording is better on Realme 2 Pro. Both phones have support for Face Unlock, Fingerprint Scanner, Realme 2 Pro is packed with a 3500mAh battery compared to 3400mAh Battery on Honor 10 Lite. both phones do not support fast charging and come with Micro USB Port.both take more than 2 Hours to charge fully, battery life with 6-7 hours of Screen on Time. Honor 10 Lite runs on Android 9 Pie with EMUI 9 whereas ColorOS 5.2 based on Android 8.1 (Oreo) on Realme 2 Pro which will get Pie update Soon. EMUI is much better optimized than Color OS. Audio output both phones are decent not that Great. Realme 2 Pro comes in Ice Lake, Black Sea, and Blue Ocean color variant priced at Rs 12,990 for 4GB RAM and Rs 14,990 for 6GB and Rs 16,990 for 8GB RAM. Honor 10 Lite comes in Sky Blue, Sapphire Blue and Midnight Black Priced at Rs 13,999 for 4GB RAM and Rs 17,999 for 6GB RAM. Realme 2 Pro has better Camera, GPU and Build quality.